The Newbury is a rustic, bohemian, alternative and tweed wedding suit to hire. Made from super-fine pure wool English Flannel this slim fitting ceremony suit is exclusive to Jack Bunneys. Available with a matching single breasted waistcoat. 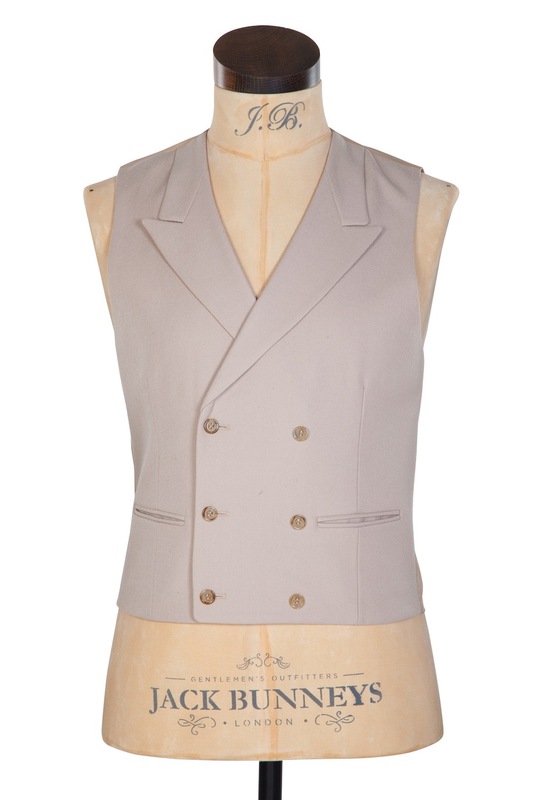 Available with a matching double breasted horseshoe style waistcoat. And for the groom: Available with an incredible lightweight Scottish tweed waistcoat, designed specifically for this suit. This tweed fabric was designed in conjunction with the worlds finest cloth merchant: Holland & Sherry of Savile Row. Also available with a selection of Donegal Tweed and Prince of Wales check waistcoats.